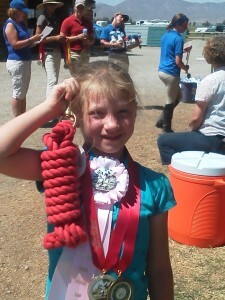 My daughter Ivy Jean just completed her first pony club camp and rally. The camp and rally were held in Bellevue Idaho in an absolutely beautiful setting of mountains, farms and jumps. Ivy Jean is a very young pony clubber at 7 years old, but she was determined to ride and is a very advanced reader and was allowed to join as an active member. I did not grow up in pony club and so am learning along with my daughter. Ivy Jean and I read the books and prepared apparel and tack, her dad/ coach helped her with her riding and bathing her horse. We were all very excited and nervous for her first rally and did not really know what to expect. We arrived late in the day and were nervous where our daughters horse and feed were to be kept, where we were to camp, and the schedule for the next day. Our stress was immediately relieved when our DC Daphne Anderson and her family quickly escorted us to where everything and everyone went. Within 30 minutes the horse was tucked in, fed and we were having a delicious meal that had been prepared by another pony club mom, Shauna Store. The next day was camp we were up early and I walked a nervous Ivy Jean to the stable to help feed and water her horse. Ivy Jeans fellow club members kept saying I didn’t need to help but I didn’t feel comfortable with my daughter caring for her own horse. Once the horse was cared for and the pony clubbers asked me to leave as camp was going to start. I had a list for oldest team member Emily Anderson of them of my daughters needs, “ make sure she drinks enough water, make sure an adult bridles her horse, make sure she applies sun screen, make sure she gets a nap if she needs one” , I am sure there were others I just don’t remember them all. Emily was very kind smiled and just nodded. The camp was wonderful with guest instructors giving lessons in dressage, cross country jumping and stadium jumping. Between riding lessons there were lectures on horse management and a leather craft. I tried to follow my daughter around but I was asked not to help her and let her team help her. At the end of the day she had a GREAT time, was working with her teammates as a cohesive unit and was able to care for her horse with help from her teammates. Over the next two days during the rally I saw my daughter grow in her ability to handle her own horse, her schedule and herself. 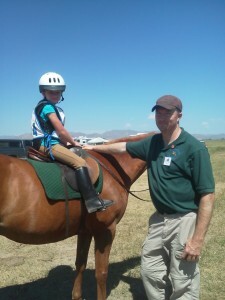 She has gained confidence with her horse and riding ability. She had gained a level of independence I had never seen before. 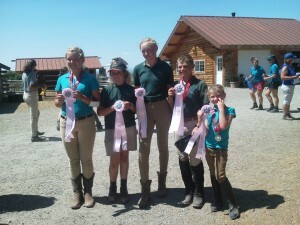 I was proud of my daughters growth and credit it to the pony club members and organization. I found that volunteering helped keep me busy and I only received one reprimand by the coach for telling her to put her heels down at warm­up. 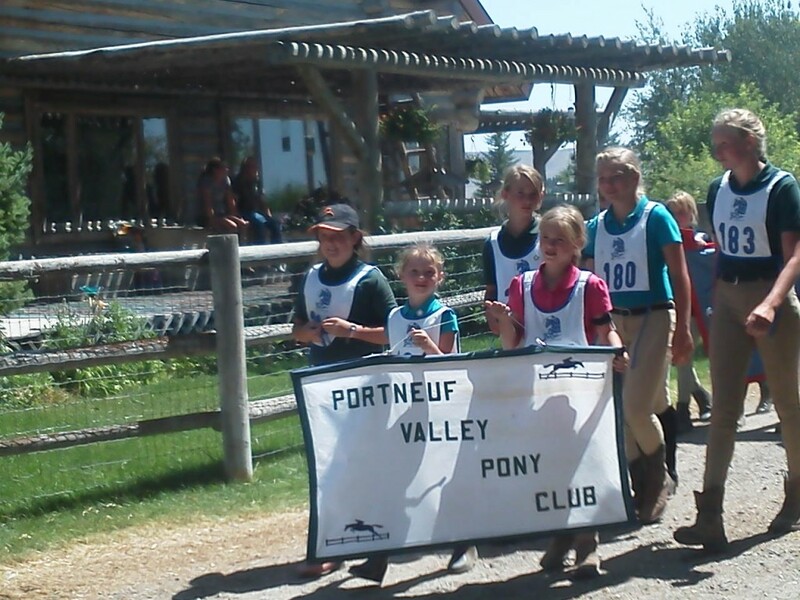 I would like to thank all the members of the Portneuf Valley Pony Club, the moms who soothed my nerves and offered advice, Shauna Store for the delicious food, Daphne Anderson for being our DC and scoring the rally, my husband for coaching the team,and a special thanks to Emily Anderson, Truman Anderson,and Isabelle Hutchinson her teammates.